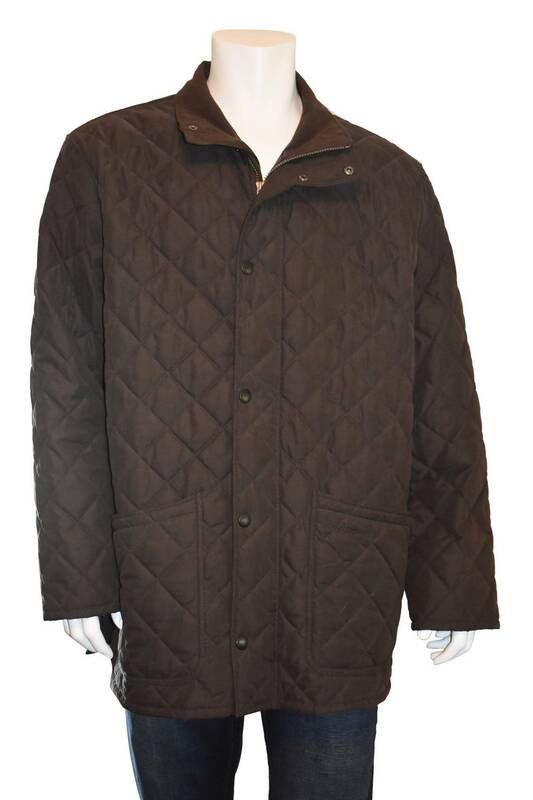 Barbour Hampton quilted jacket in dark brown. 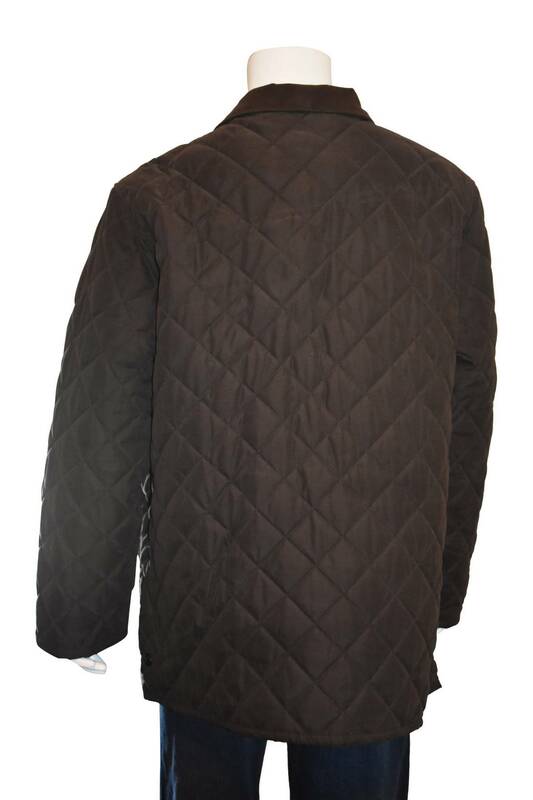 Two-way front zip under snap closure front and two studded back vents. Cell phone pocket on outer patch pocket and interior zip pocket.